Planning on a city break this year? Here are 4 cities that are perfect for that long weekend or midweek break that will suit your budget. When you think about your next trip, you should think about Italy. It’s always a good time to visit Italy and its capital Rome. But perhaps the best time is August, when all the Italians go on their holidays and the rest of the world come to visit Rome. Whether you choose to follow the typical tourist paths or to go off them, you will certainly be seduced by a tour of Rome. Its beauty will surprise you and it has a lot to offer. Remember that this is the place where you will visit the famous sites like The Vatican and the Sistine Chapel, the Trevi Fountain, St Peter’s Square, Spanish Steps, Colosseum and more. Rome is also a very romantic place for honey-moon trips, it is one of the most visited holiday destinations, and also a city of fashion. Rome offers great accommodation and naturally, since Romans love to eat, there is a finest selection of restaurants, so be prepared to try some really good food. There are many music events, dance festivals and operas and the nightlife offers great entertainment opportunities. 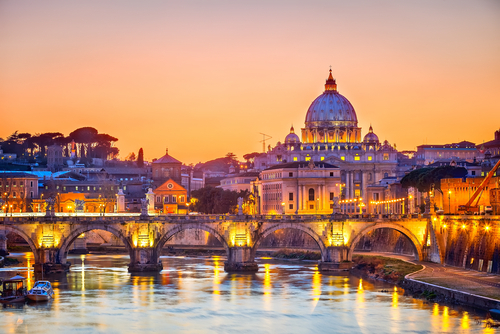 Whatever you decide to do in Rome, you will never forget it. 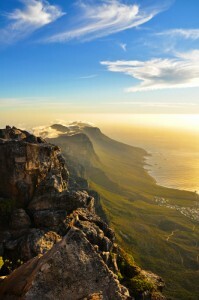 Cape Town is the second most populous urban area in South Africa and one of the most multicultural cities in the world. You are welcome to explore the famous Table Mountain, Victoria & Alfred Waterfront, untouched beaches and endless vineyards. 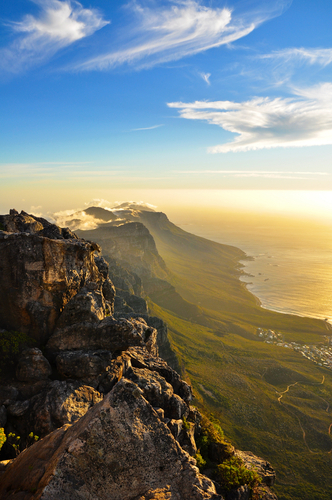 Table Mountain National Park is not merely a Mountain with a flat top. It offers a lot of different and incredible sights: forests, waterfalls, reservoirs, caves, botanical gardens, easy and more challenging walks, difficult climbs. The views are stunning and awe-inspiring. For those who find it difficult to climb up steep routes, there is a cable car ride up with a wonderful view of the city. 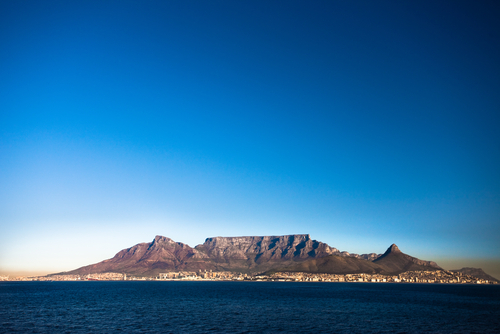 Within easy driving distance of the city there are Table Bay’s beaches with miles of sand and a wonderful view of Table Mountain and Robben Island. The beaches are perfect for wind and kite surfing. You shouldn’t miss the Kirstenbosch National Botanical Gardens which present the great botanical diversity, they also offer a wonderful place to escape the busy city. One of the places you should also visit is The Cape of Good Hope Nature Reserve with its extensive sea panoramas, hiking trails and wildlife encounters this place has to offer. Depending on your priorities you can stay in some of the five-star palaces or designer-chic guesthouses. The nightlife is packed with events, live music, dance, good food and wine with a large variety of restaurants, clubs, cafes and bars to choose from. 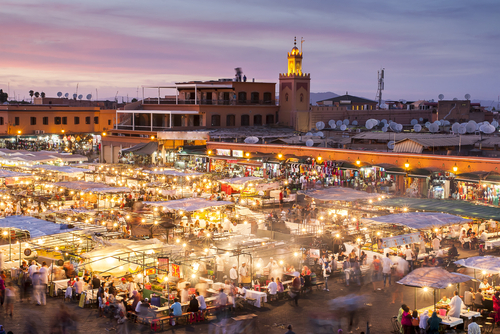 Marrakech or Marrakesh, one of the imperial cities of Morocco is situated near the bottom of the snow-covered Atlas Mountains, just a few hours from the Sahara Desert. Because of the landscape full of contrasts it has become one of the most visited destinations in Morocco. There are two distinct parts in the city: the historical city – Medina, and the modern European district called Gueliz or Ville Nouvelle. To ensure you get the most out of your Marrakech break you need to do your research and maybe even book a specialist Morocco tour operator. If you want to enjoy an imposing number of masterpieces of art and architecture, you should definitely choose to go to the old part of the city, where you can see everything on foot, that is, if you like long walks. It is a World Heritage Site founded in the XI century. There are several stunning monuments from that period and also some of the later architectural works including the authentic open-air theatre. Ask a Morocco tour operator about some of the best things to do. Back to the modern part of Marrakech you can enjoy a cool drink, an ice cream or a pastry. Luxury restaurants, cafés, tearooms and shops offer their services all over the city. When you visit this beautiful city, you will discover that Marrakech is full of life, dynamic and enthusiastic and you will be absolutely enchanted. The capital and largest city of Hungary set on both banks of the river Danube is one of the cities with the greatest history in Europe. It is famous for its many spas offering an amazing range of baths. It’s a city with long tradition, great culture and history, and extraordinary natural beauty. Buda Castle and the area around it are the most visited tourist attractions of Budapest. The castle includes The Royal Palace, three churches, five museums, memorial sites and theatres. 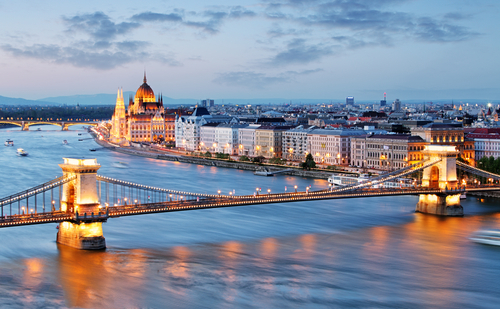 One of the most captivating sights is the beautiful Chain bridge offering a wonderful view of the river. All over the city there are buildings and areas with their own history and a specific atmosphere. The city offers many walks and tours to choose from, but you can never see it all. In Budapest you will see Roman ruins, Turkish baths, the legacy of the Gothic and Baroque periods, and also architectural masterworks of the Art Nouveau and Bauhaus. There are also lots of concerts, dance performances, events and festivals to visit and Budapest is known for its vibrant and exciting cultural life. You definitely never get bored here.